The following piece appeared in Red Herrings 741, the bulletin of the Crime Writers’ Association, August 2018. Rejection is part and parcel of being a writer – but it’s wrong to assume that it’s something that only beginning writers face. 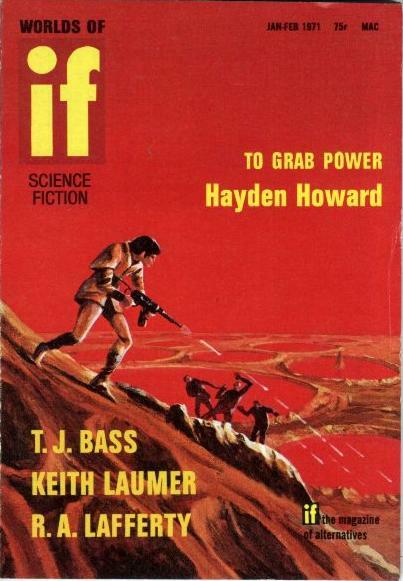 I wrote and submitted over a hundred short stories between 1978 and 1987 – as well as a dozen very bad science fiction novels. (One of these, the proposed first volume of a series, was submitted to a publisher in London and rejected by an editor who, many years later, set up his own literary agency… and now represents me – a salutary lesson to every would-be writer.) Gradually, as little by little my skill increased, the form rejection slips ceased and I received – oh, joy – personalised rejection letters along the lines of, “While we enjoyed certain aspects of your Great Work, we felt that in terms of characterisation…” etc. Thus encouraged, I battled on. I was naive, as I learned over the course of the years that followed. It’s a sad fact that, unless your a best-seller whose editor dare not reject a word you’ve written, as a jobbing freelance fiction writer you will receive frequent rejections – especially if you persevere in writing short stories, that beleaguered form in these days of dwindling markets and increasingly paltry fees per word. Since 1987 I have published a hundred and fifty short stories, mainly in the SF market, as well as sixty-odd books – thirty science fiction and crime novels, a dozen novellas, as many collections, and a dozen or so books for children. And I still receive the occasional, and salutary, slap in the face of rejection. Because I love short stories, I continue to write them. I turn out around eight or nine a year and succeed in selling perhaps six. But it’s a fact that most of my stories are rejected by the first magazine or anthology to which I send them, and sometimes by the second and third. But if I believe in the story (and after six rejections I might take another long, hard look at the piece and decide to retire it from further consideration), I’ll send it out until it meets it fate. If there’s a moral to the tale, it’s this: whether your a tyro or a jaded pro, you’ll be rejected – it goes with the territory. But, as I never tire of telling beginning writers, the only way you’ll fail is if you let the b******* grind you down, and you stop writing. This story continues the adventures of the band of survivors eking out a precarious existence in the bell tower of an old church in England after the fall of the next ice age. They search for food in the streets of a town buried beneath the ice, and eat the meat of the occasional polar bear, called ‘pads’. But Jacko, the leader of the group, has plans to get away from the icy regions on the Snow Princess, a snowboat he’s in the process of building. However, the arrival of two further survivors on the scene, the dim-witted Charles William and the pretty young girl, Mignon, puts a spanner in the works as the boat will not be big enough to hold six people. Again, the strength of the story lies in Coney’s depiction of the fraught relationship existing with the small group, and his description of the rigours of living in ice age conditions. Events become even more tense with the attack of ferocious pads, who seem to be working in concert to defeat the humans. Again, as in “Discover a Latent Moses”, salvation arrives from a wholly unexpected source. Though never less than entertaining, “Snow Princess” is not as successful as the leaner, more economical first tale – indeed it works better as part of the novel Winter’s Children, published three years later in 1974. 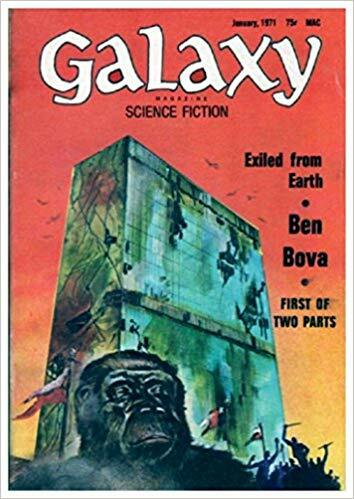 This story marks the first appearance of Dr Ralph Streng, who will turn up again in Coney’s 1976, BSFA award winning novel Brontomek!. Streng is a self-centred, self-opinionated individualist who doesn’t believe in altruism and thinks that everyone is motivated wholly by self-interest – and admits that he himself is. The story is centred around Finmouth Race Week, the arrival of an alien from the planet Canaral, and Streng’s relationship with his son Tom, who has Down’s Syndrome. The first person narrator, Arthur Warren, records a series of events – an accident at a boat race which results in his saving Streng and his son, and their meeting with the alien – culminating in the alien forcing Streng to acknowledge his own humanity. It’s a strong, but not wholly successful story – the handling of the Down’s Syndrome aspect (Tom is referred to as a ‘mongolian’ throughout) is a little off by modern standards – which redeems itself with a moving dénouement. It’s notable for being the first of Coney’s stories to feature pleasure-craft and competitive racing – which will crop up again and again in future works – and for being the debut of Ralph Streng, a character you’ll love to hate. 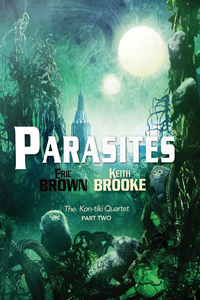 Parasites, the second volume of the Kon-Tiki Quartet, written with Keith Brooke, is out now from PS Publishing. Humankind has at last sent a ship to the stars, leaving an Earth ravaged by environmental disaster and torn apart by competing sectarian interests. Kat Manning is one of eighteen specialists aboard the starship Kon-Tiki, clones whose various areas of expertise will be crucial in the months and years ahead as they forge a new life on a strange alien world. But what Kat finds on Newhaven is nothing she could have planned for, and every bit as surprising and challenging as the issues she left behind on Earth: mysterious aliens, political in-fighting, and someone willing to go to any lengths to keep a deadly secret. In Parasites, the second volume of the Kon-Tiki Quartet, Brown and Brooke tell the story of humankind’s taming of an alien world – and of confrontation with the demons that lurk within the very psyche of humanity itself. Murder Served Cold, the sixth Langham and Dupré novel, will be published at the end of December this year. November, 1956. Lord Elsmere, an old friend of Donald Langham’s literary agent, Charles Elder, is in a pickle – his favourite painting, a Gainsborough, has been stolen from under his nose. What’s more, there’s no evidence of a break-in. The family heirloom was recently re-insured for a hefty price, and Elsmere is struggling financially. Could he have staged the theft, or was it taken by one of the guests? Old Major Rutherford, evasive beauty Rebecca Miles, Dutch war hero Patrick Verlinden, Elsmere’s son Dudley Mariner and his statuesque sculptress fiancée, Esmeralda Bellamy, are all guests at the manor. But who would steal the painting, and why? 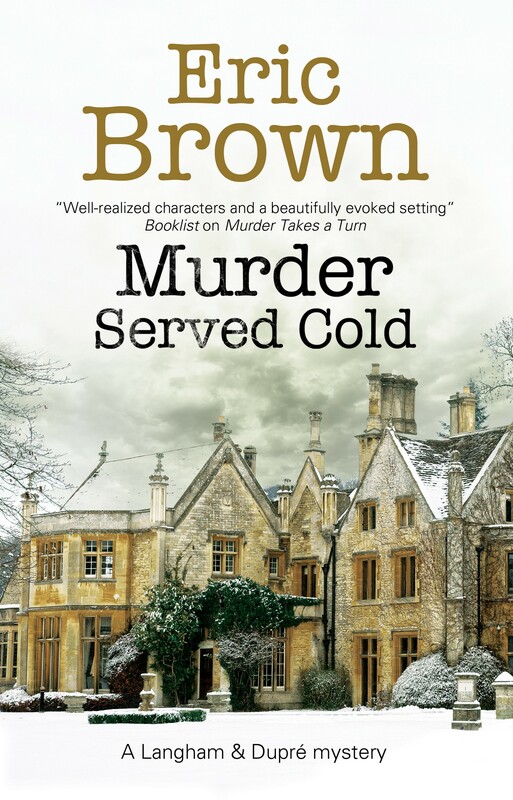 Private investigators Langham and Ralph Ryland take on the case and uncover seething animosities, jealousy, secrets and deception, before events take a shocking turn . . .